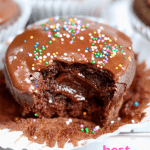 Vegan Chocolate Cupcakes Recipe with a tasty Chocolate Peanut Butter Filling much like Nutella, and an easy chocolate frosting. These are moist and delicious. I’m in cupcake heaven! Have you guys heard of wacky cake? Well this vegan cupcake recipe is a play on a cake supposedly invented during the Great Depression that was made without eggs, butter, and milk. I’m sure their intention wasn’t to make a vegan cake, there was just a shortage of eggs and dairy at the time and if you did find the ingredients they were apparently to pricy. Well who ever invented the recipe is a genius. 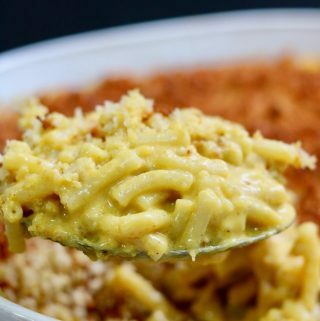 It’s downright delicious and so easy! I got the recipe from my sister in law Dot, years ago (thx Dot❤️) and I’ve made it for my family here and there, throughout the years, usually in cake form. Well this is my version of the Wacky Vegan Cake in cupcake form. I decided to fancy it up and add a gooey addictive chocolate peanut butter filling– why not right!! And of course you need icing. I kept that part simple with an easy chocolate frosting. Add the cocoa, peanut butter, icing sugar and plant milk to a medium bowl and whisk until smooth, then set aside. Combine all the dry ingredients in a large mixing bowl. Make a well in the centre of the bowl and add the wet ingredients. Whisk until smooth. 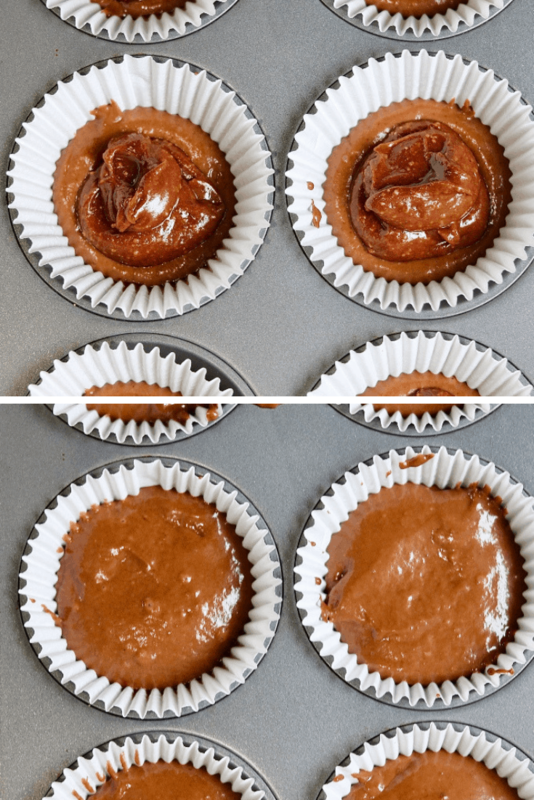 Start with approximately 1 tablespoon of batter in each cupcake liner followed by the chocolate peanut butter filling and then top them off with the rest of the batter. 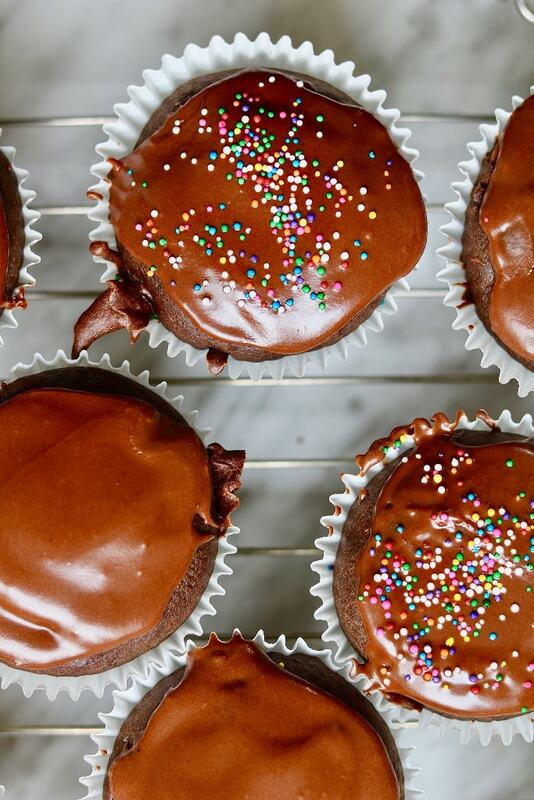 Let the cupcakes cool, completely and ice with the chocolate glaze. Yum! For the full Vegan Chocolate Cupcake recipe check out the recipe card below. Warning these cupcakes are highly addictive and might contain a wee bit of sugar, lol!! !😂 If you’re looking for a more healthy Vegan Dessert Recipe try my Chocolate Vegan Brownies or my Salted Caramel Vegan Chocolate Tart. Store the cupcakes covered at room temperature or in the fridge. Cupcakes should keep 3-5 days (if they last that long ☺️). Cupcakes freeze well without the icing. If you love Vegan Chocolate Cake Desserts check out my Vegan Chocolate Cake, YUM! Enjoy guys❤️ Happy day to you! 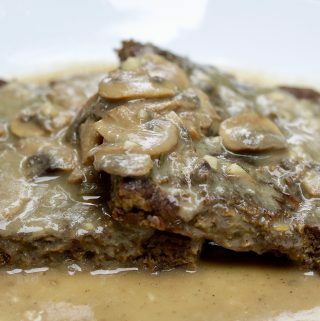 Feel free to comment and rate this recipe below, I’d love to hear from you. 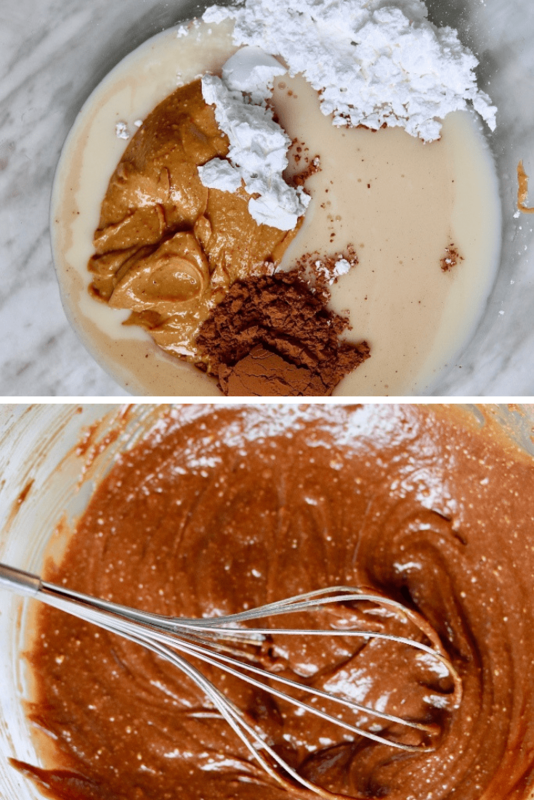 For the Cupcake filling: Add all the chocolate peanut butter filling ingredients to a medium bowl and whisk until smooth, then set aside. 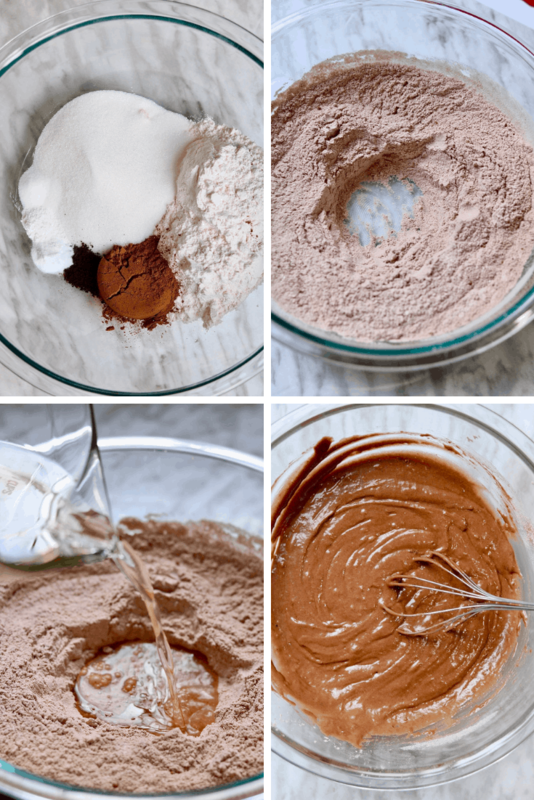 For the Cupcake Batter: Add all the dry ingredients to a large mixing bowl ( first 7 ingredients listed) and whisk until combined. Make a well in the centre of the dry ingredients and start adding the wet ingredients in order listed above. Whisk everything until smooth. 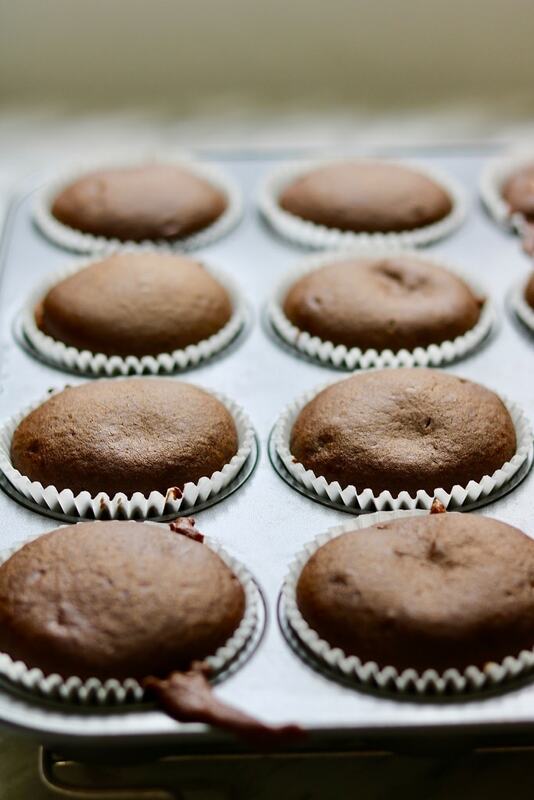 For filling the cupcake liners: Add approximately 1 heaped tablespoon of batter followed by 1 and 1/2 tablespoons of the filling. If you have left over filling just evenly distribute the rest. Now add a tablespoon of batter to top of each cupcake until it is gone. 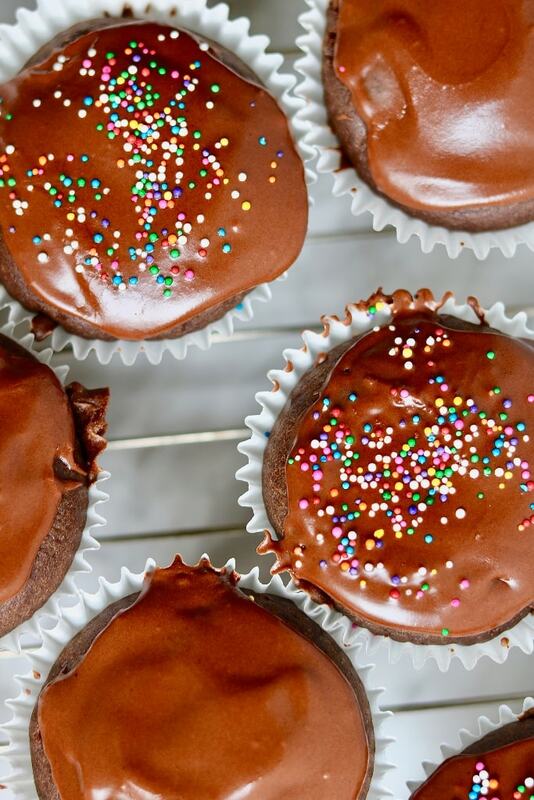 Bake the cupcakes for 18-20 minutes or until tops of cupcakes are just firm to the touch. Cool in tray for a couple of minutes then remove to cooling rack and COOL COMPLETELY BEFORE ICING. For the Chocolate Frosting: Mix all the chocolate frosting ingredients, except icing sugar in a small bowl. Now whisk in the icing sugar until everything is combined and smooth. set aside until cupcakes are ready to glaze. 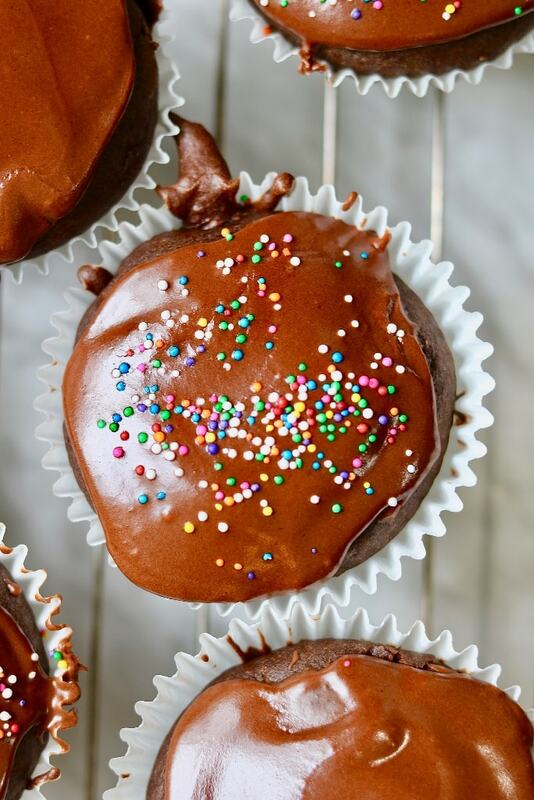 When cupcakes are ready to ice make sure to whisk the chocolate frosting again. if adding sprinkles do so right away before the icing dries. 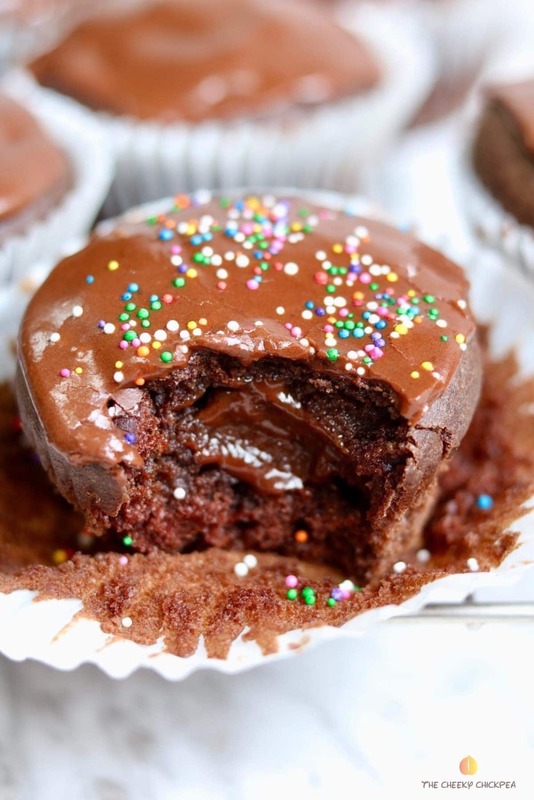 adding the instant coffee gives a richness to the chocolate cupcakes but does not overpower the flavour. Do not cover cupcakes until the glaze is full set. I recommend a cake dome. OMG these look so good. Hi Diana, confectioners’ sugar is another name for it. I’ve always called it Icing sugar. Have a great day! 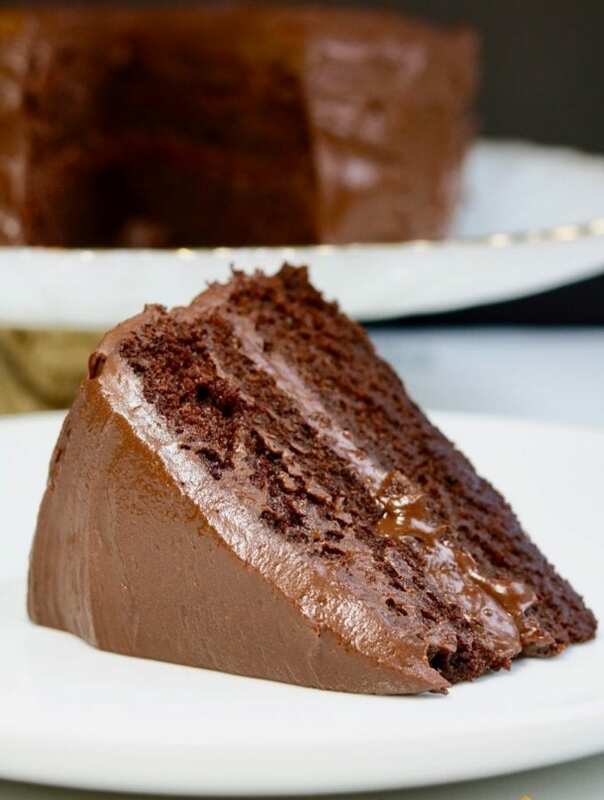 This is the BEST Vegan Chocolate Cake Ever! It’s super moist and fudgy, quick and easy, rich and chocolatey with the most delicious chocolate ganache vegan frosting. You’d never know this chocolate cake is dairy free and egg free! Made with everyday ingredients! It’s perfect for any occasion. 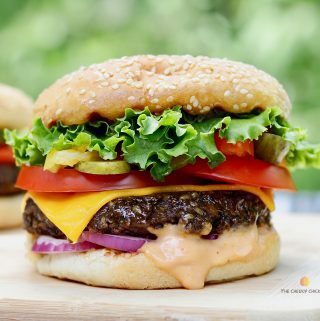 More tasty recipes! 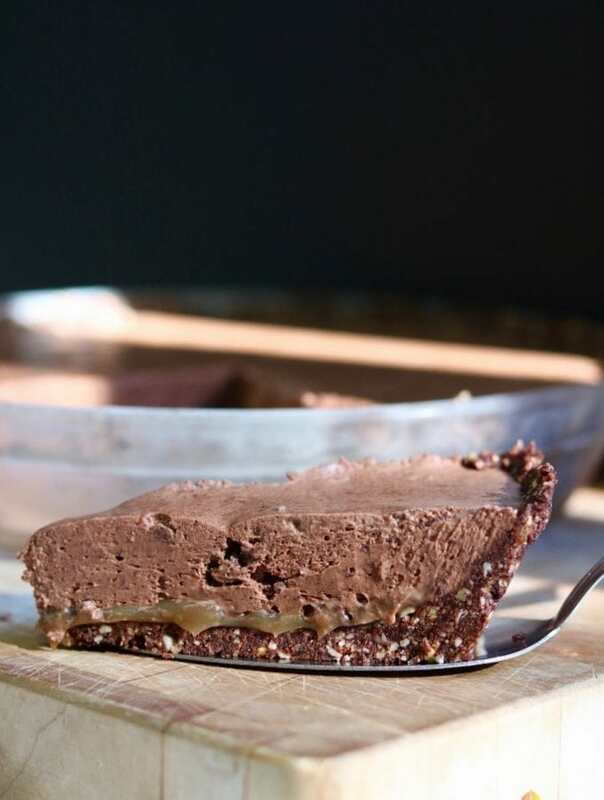 You will LOVE this no tofu, no bake Vegan Chocolate Tart recipe. Gooey thick salted caramel, melt in your mouth silky and light Vegan Chocolate Mousse, a top a delicious chocolate nut pie crust. Oh Man! And it’s soy free, gluten free and oil free to boot! With no added sugar, HUH! More tasty recipes! This Chocolate Vegan Brownies recipe is the BEST, they’re rich, gooey and chewy with hints of orange and coffee and you would never guess they’re healthy and gluten free! WHAT!! 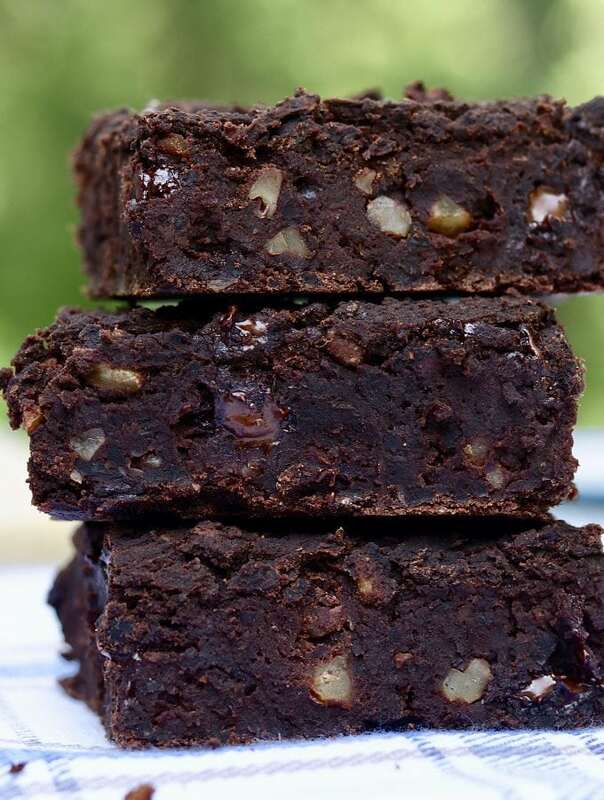 Yup, My Plant Based Black Bean Brownies are amazing! More tasty recipes!